With a typical mortgage, you must make one payment each month or 12 per year. The mortgage has two parts: principal and interest. The principal is applied to what you owe the bank. The interest represents the cost of the loan. If you have a 30-year fixed mortgage, you would make 360 payments to pay it off. Most of your payments at the start would be interest payments, with only a small portion going toward the principal or balance. Biweekly mortgage payment programs involve mortgages for which you make a half payment every other week instead of a full payment on a monthly basis. 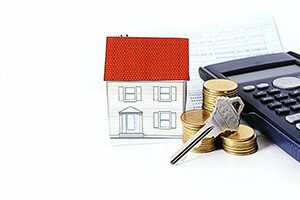 If you are considering a biweekly mortgage payment program, you should consult the knowledgeable Boston real estate attorneys at Pulgini & Norton about the potential advantages and disadvantages. We can advise you about the legal consequences of this choice and other decisions that you may need to make when buying a new home. With a typical mortgage, you are on an amortization schedule, and it may take a long time to pay off the principal portion of the loan. With a biweekly mortgage payment program, you make one payment every two weeks, all of which add up to 13 full payments in a year. The 13th payment is applied to your principal balance, which means you can potentially shorten your loan term by a few years. However, there are also disadvantages to using a biweekly mortgage payment plan. It is a contract that obligates you to make the 13 payments, even if you are struggling financially. The lender may charge a fee to participate in the program, and this fee may be limited by law but may not be worth the degree of commitment. Sometimes it would be more beneficial to refinance than to enter a biweekly mortgage payment program. You should be aware that many of the advertisements and offers for biweekly mortgage payment programs are unregulated. The Massachusetts Consumer Affairs Office and Division of Banks have warned consumers against working with a company that is not licensed or registered. Sometimes companies that make an offer of a biweekly mortgage payment program do not have a relationship to your lender and provide few services. In some cases, you can voluntarily make payments to your bank that would approximate the results of the biweekly mortgage payment program without incurring any penalties or dealing with companies that may not be above-board. You can ask your lender to figure out how you can send additional money that would be applied to the principal rather than interest. This may be an aspect of your loan that can be renegotiated with the lender. For some homebuyers, a traditional mortgage program may take a frustratingly long time, and it may be tempting to participate in a biweekly mortgage payment program. At Pulgini & Norton, our Boston real estate lawyers can advise you about the legal consequences of working with a particular program and help you determine whether there may be other options. We represent buyers, sellers, associations, and lenders in Brookline, Quincy, and Medford, among other Massachusetts cities. Contact Pulgini & Norton at 781-843-2200 or through our online form to set up a free consultation with a mortgage attorney.